It has often been said that you get what you pay for and though it is certainly true about many things, it does not apply to everything. It is possible to pay a small fortune for a top of the range set of golf clubs, but this does not necessary mean they will be the best for you. Here are some tips on choosing the right club equipment without breaking the bank. Fancy brand names tend to be right at the top of the price range when it comes to golf equipment. However, one of the reasons that this type of equipment tends to cost more is that the companies that sell them pay a lot of money for advertising, including endorsements from celebrities. However, some of the cheaper no-name brands may well be just as good. It is often possible to save a lot of money on that top of the range golf equipment that you have set your sights on by shopping in the sales season. 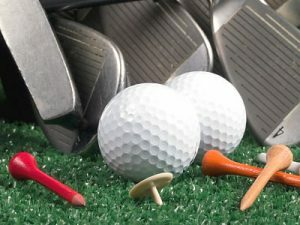 Many sports shops feature seasonal sales on golf equipments and it is possible to save as much as 50% simply by taking the time to search for these sales. Many enthusiasts purchase top quality golf equipment only to play a handful of times and then store it in their closets. If you are lucky enough to track down virtually unused second hand golf equipment, it might be the perfect way to save money without compromising on quality. If you are still unsure about which types of golf equipment would be best for you, search for reviews. You may find that some of the cheaper brands are rated equally or even higher than the most expensive options.